If you are currently using Agentology ISA's to initially engage and qualify your leads you will have a certain percentage that will come back as qualified or unresponsive / unqualified. 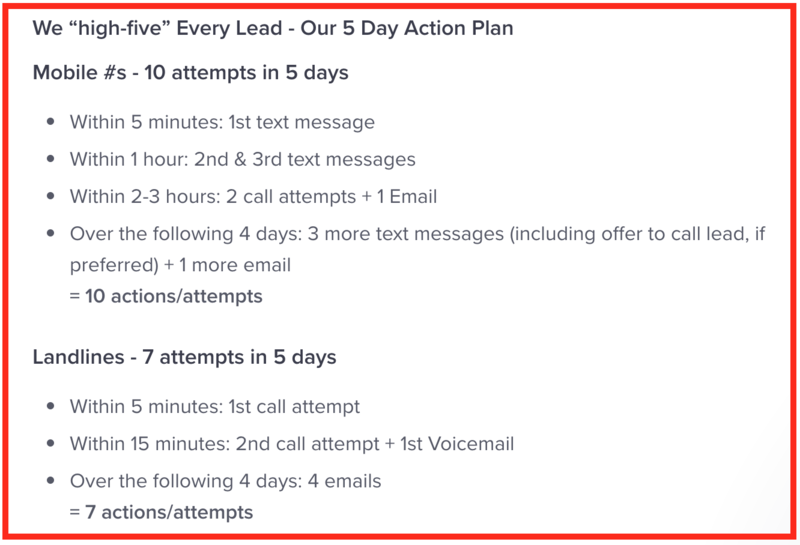 You can use this CallAction workflow to then automate your long-term lead follow-up with leads that did not initially qualify or simply stay top of mind using our custom direct to VM / text message drip campaign system. According to the Agentology website here is there current lead follow-up procedure. Notice that the first 3 attempts are made via text message. The call attempts are then made from a "toll-free" phone number which some of said lowers response rates. "engage a lead, verify their basic info, and confirm their interest in working with an agent, they’re considered a qualified lead." Lead is renting or looking for a rental agent"
As you can see this follow-up process is for a fairly short period. You have already invested to generate the leads, then paid Agentology to do initial follow-up so 10 days is not the time to give up. 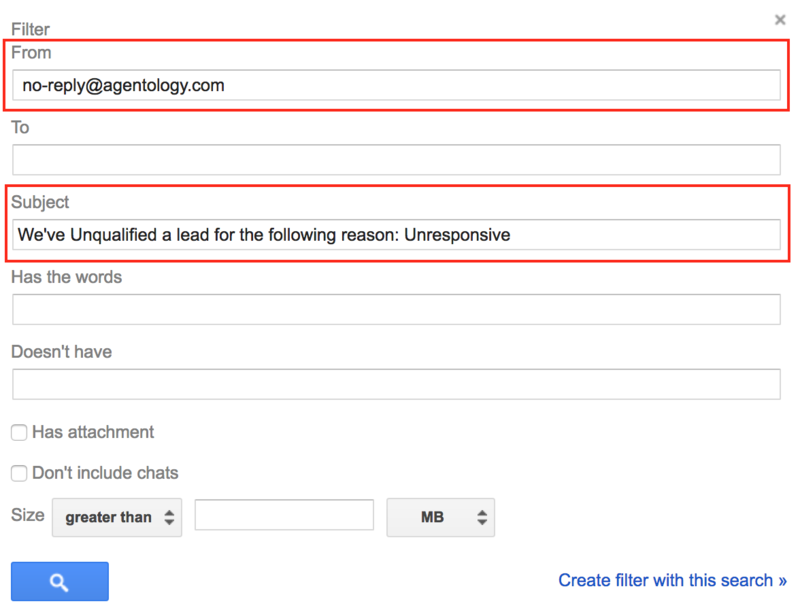 The fact that Agentology does the lead follow-up from toll-free numbers will automatically decrease lead conversion and cause a "un-qualified" status. It would not make sense to just give up on the lead after just 10 days & 10 attempt to follow-up. The real lead conversion happens with you follow-up for weeks, months & even years with leads using a natural cadence from a local phone number. CallAction intelligent lead engagement automation can automate the tedious task of following up with your Agentology leads and nurturing them long-term. We have simplified your lead nurture and follow-up with this pre-made drip campaign template you can use. Get started now with this workflow. Here are the steps to this lead follow-up workflow. Click on the links to view detailed steps for each if you are not familiar with how Callaction works. You can also send leads into Altos Research for long-term email drip campaigns using dynamically updated real estate market data. Additionally after being imported into CallAction leads will be reverse data-appended to give you more insights about the lead. Be sure to check data to see if inquiry currently owns a real estate and if yes, you can retarget the Agentology leads using a Facebook custom audience and process similar to our yard sign lead follow-up process. Hope this gives you a few ideas on how to improve your lead conversion from your unqualified Agentology leads. This is just one of many other workflows and integrations with CRM and other lead providers. Want to Try this Agentology to CallAction Integration? If you are not currently a CallAction lead engagement automation platform user you may setup a free 14-day trial of our system. You can activate your account in less than 9 mins and use this integration for the next 14-days for free.